While many wonderful and talented care-givers have been at MTC, few have been as dedicated or had a stronger work ethic than Kim, who joined us in 1996. 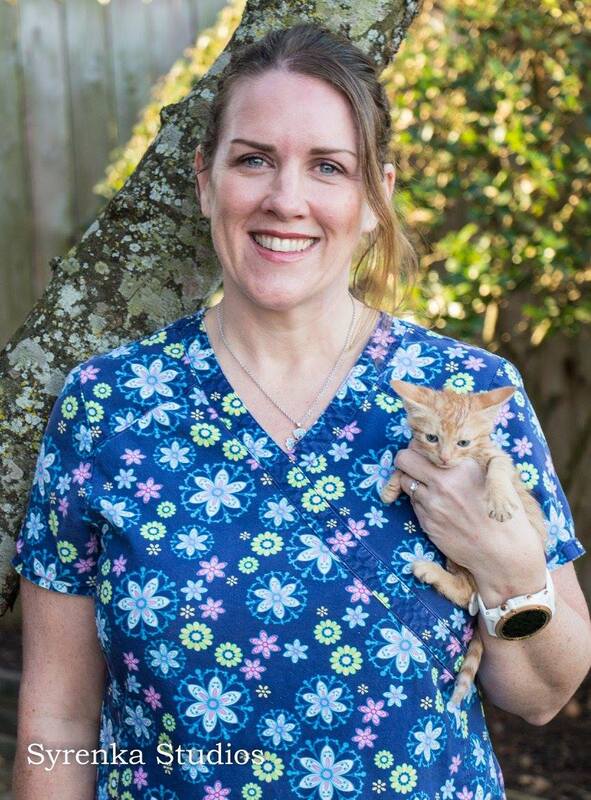 Like many of us in the veterinary field, Kimberly began with little knowledge, but much love and dedication to give to our clients and patients. Almost immediately it was apparent that Kimberly was a fast and willing student in the learning environment at MTC. 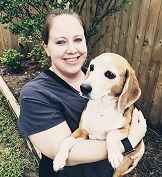 Within a few short years, Kimberly advanced from care-giver to vet assistant to the position we are fortunate to have her at, as Head Veterinary Technician. Not only is it necessary to acquire knowledge and skills, the position of "Head Tech" requires enormous responsibility. The medical needs of our patients must come first on a daily basis. Kimberly has many times set aside her personal plans to come early or stay late to assist the doctors in caring for a sick animal. 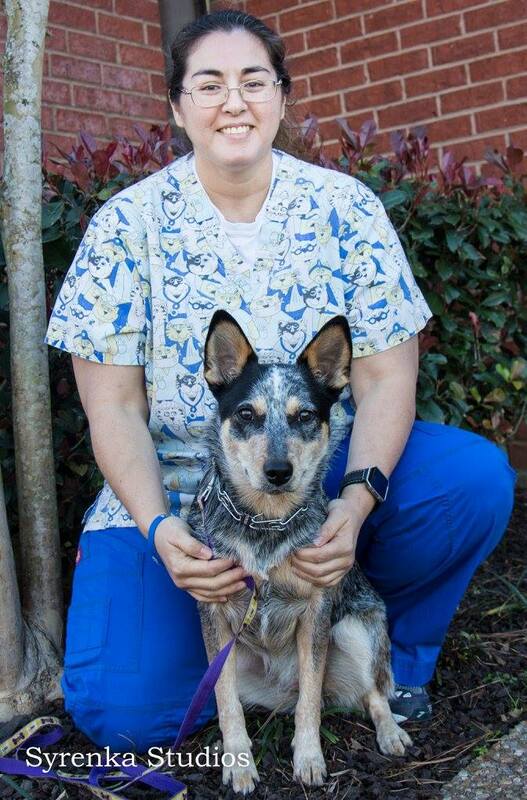 While always ready to lend a hand at the clinic, Kimberly also enjoys spending time with her dogs, " Wyatt" and "Laney", and kitties "Slyder" and "Peeps". She also enjoys running, fishing and spending time with her family, a husband and 2 sons. The rest of the gang, doctors, and clients at MTC have come to know that we all have a truly caring friend in Kimberly. Her priority is right along with our goal...giving the best we can to our clients and their family of pets at MTC. Jen grew up an Army brat, born in Germany and traveling around with her military family. They came to Texas when Jen's dad went to work at NASA. Now living in Houston, Jen and husband Ryan have a wonderful furry family of adopted cats. Jen and her husband are HUGE Texan's fans and love to tailgate! MTC and our clients are now big fans of Jen too! Allison, LVT, started at MTCAC in 2012 after graduating tech school in 2011. She also has a bachelor's degree, but after volunteering at CAPs, she decided veterinary medicine was where she wanted to be. She has a special interest in denistry and French Bulldog puppies. Tina, LVT, has been with us since 2014. Tina was born in Oahu, Hawaii and moved here in 2011. She is married and lives in Fulshear, making that looong drive in everyday, with her Aussie cattle-dog "Mana".